His talk, “A Different Kind of Reading: Victorian Popular Afterlives,” featured an in-depth ethnobibliographic examination of the works of Victorian author Ouida. English faculty member Dawn Fallik recently presented with Dr. Julianne Holt-Lundstad on a panel at South by Southwest (SXSW). The second biennial Center for Material Culture Studies conference begins Friday, April 26, with a set of pre-conference workshops. In UD’s Morris Library, scholars and librarians will lead two workshops highlighting current projects in African diasporic bibliography. Concurrently, at UD’s Raven Press in the Studio Arts building, Amos Kennedy, Jr. will lead a hands-on printmaking session for interested conference attendees and students. ​"There is no other skill I cherish more than the ability to write. My job demands perfection when it comes to grammar, accuracy and objectivity, and it needs to happen fast. Those days (and nights) spent at Memorial Hall, The Review and WVUD-FM were key in developing this skill, obtaining a job in broadcasting, and advancing in the industry." "Under the mentorship and tutelage of Professors Carol Henderson and Heyward Brock, my UD English bachelor's degree honed my writing, research, and interests on diverse issues of the human condition, specifically focusing on morality, ethics and civic justice." ​"I am delighted that I get to both teach and write for a living. The support and modeling that the English Education faculty provided helped me hone my skills as an educator, and create a teaching philosophy that allows me to move all students to achieve at high levels." ​"I credit my UD education for much of my success. The faculty are some of the most intelligent and kindest people you will ever meet. My English professors taught me how to think creatively, read analytically, and write persuasively. 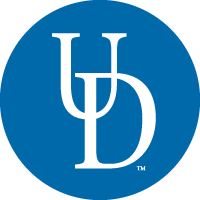 Simply put, UD is an amazing place where dreams come true."